New York City, Brussels, and Paris are just some of the cities where Ola Roshdy grew up as the daughter of an Egyptian diplomat. She currently lives in Cairo with her husband, actor Ahmed Dawood, and their two children. An accomplished actor and producer, Ola recently created an online vlog, which she humorously called Weghet Mazar (A Mother’s Point of View). In the vlog, viewers are given a glimpse of her life as a working mother, sharing her daily experiences and tribulations as well as her advice to mothers or soon to be mothers. 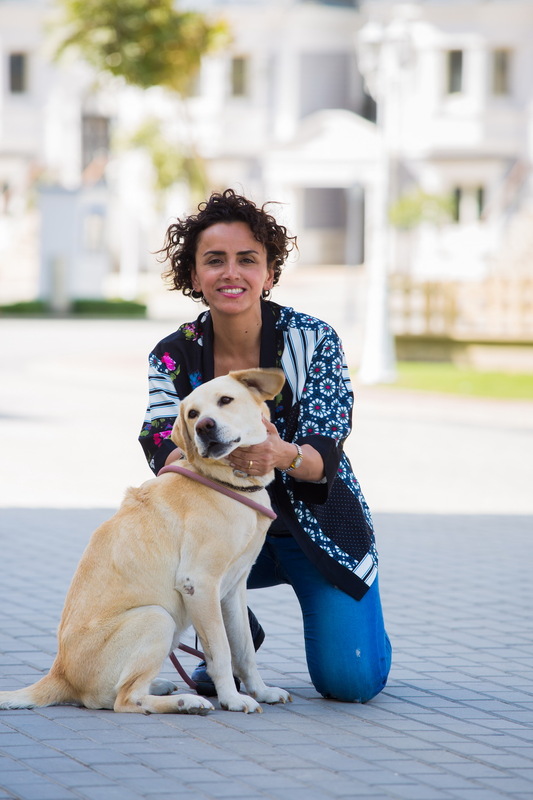 eniGma’s Farida El Sayed chatted with the celebrity mother to find out more about her vlog as well as her future aspirations. Roshdy says that she was still a child in elementary school in New York City, when her passion for acting began. “It was when I was in third grade on stage, that I had the revelation that my passion was acting. I knew then that this was what I wanted to do for the rest of my life!” she exclaims. Her passion remained with her, even when she went on to major in Business with a minor in English Literature at the University of Maryland. She took her first step toward realising her dream while in Rome, Italy, her last stop living abroad. Roshdy interned as an assistant director on a TV series and, she recalls, “watched over 100 Italian movies in one year.” When she returned to Egypt, she worked in film productions until she opened her own production house, Mad Owl Productions, which specialises in TV commercials and foreign film servicing. According to Roshdy, the biggest production under Mad Owl’s belt was a Tom Hanks film titled, A Hologram for the King, where her company was in-charge of the production of the scenes shot in Egypt. Back in Egypt, the acting bug didn’t let go of Roshdy and she started attending acting workshops. It was actually at an acting workshop at the Cairo Opera House that she met her husband, Ahmed Dawood. “For over three years we were together, training acting, dancing and singing,” she recalls. Some might consider that film to be Roshdy’s big break. But Roshdy insists, “My first big break is yet to come.” Nevertheless, after that film, Roshdy got more TV and film roles, including her most notable comedic role in Tamer and Shawkeya, which she considers to be one of the highlights of her career. Roshdy points to her online vlog, Weghet Mazar as her current career highlight. “It’s a whole new experience. I am learning more about myself, and I can better understand my strengths and weaknesses,” she explains. “The idea for the show came about from my yearning to make a kids’ TV show. But I was not able to get it approved by any of the TV channels. So when I had kids of my own I started filming our day-to-day life on my phone. It developed into real topics. From that, I got the idea of making something online for moms and, eventually, for kids. At first, of course, I was hesitant to publish the first episode because of how personal it was, and then I just got the courage and did it,” she recounts. Roshdy has not always been so self confident and uninhibited. “ I wasn’t always this way,” she explains. “I have only been like this for, maybe, the past 10-15 years. I was actually shy and self conscious at school. I guess my true character was able to come out and flourish now. I have gained confidence through my life experiences and I don’t worry much about what other people say or think of me, as long as I am at peace with what I am doing.” To instill this confidence early in her own children, Jamila and Adam, she helped them set up their own vlog titled Mila & Doozi’s Magical Playhouse. “The vlog allows the kids to explore, un-box toys, and just make fun videos of challenges or games they come up with. It’s a platform where they can practice being confident in front of a camera, learn how to express themselves in their own genuine ways and create their own material,” she notes. When she isn’t being the fun, creative, and adorable mother she appears to be on Weghet Mazar, acting is still Roshdy’s real passion. She is currently working on a new TV show. “I am just getting started, and definitely looking forward to interesting acting projects that challenge me,” she insists. Whether it will be a role in drama or comedy that she will be taking on, it’s a sure bet that Roshdy will rock it.